A May 25, 1959 Time Magazine article called “Pas de Dough” was recently forwarded to Michael Covel. 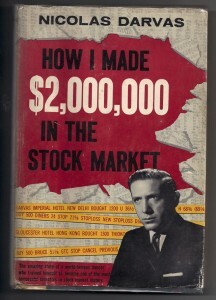 It was about a professional dancer named Nicolas Darvas, who had made two million dollars trading stocks. This was probably one of the first trend following articles to appear in a major publication. Sports metaphors when it comes to trend following work great, but there are clearly others. For example, both trend following and dancing judge the public’s enthusiasm and use that as the indicator for the next move. In this monologue, Covel talks about the article and Darvas’ book, breaks down the fundamentals of trend following, and explains why the philosophy behind trend following still applies today. He also comments on how trend following can be applied to the current black swan economic situations in China and Greece.